Organisers of the Gromit Unleashed Summer Arts Trail have announced a change of venue for the mass-gathering of the model sculptures for five days in September. Due to the extraordinary popularity of Gromit Unleashed, we are moving The Greatest Dog Show on Earth exhibition to larger premises to ensure we can put on the very best display of Gromits for as many members of the public as possible." – Nicola Masters, Director at the Grand Appeal. Organisers of the Gromit Unleashed Summer Arts Trail have announced a change of venue for the mass-gathering of the model sculptures. They will go on display in the former Habitat store near the Triangle in Clifton. The original venue was to be the Royal West of England Academy opposite the Victoria Rooms. 'The Greatest Dog Show on Earth' will take place from the 18th to the 22nd of September. The Gromit sculptures that have entertained thousands over the summer have been removed from their posts across Bristol. Organisers said the art trail had been a tremendous success. More than 200,000 people are thought to have visited the attractions. 45,000 people downloaded the app, raising £20,000 for the Bristol Children's Hospital. 630 people managed to visit all 80 Gromits. The models will all go on show at the end of the month before being sold at auction for the charity in October. As the Gromit sculptures that have entertained people over the summer are removed from their posts across Bristol, organisers say the art trail has been a tremendous success. More than 200,000 people picked up a map while 45,000 people downloaded the app, raising £20,000 for the Bristol Children's Hospital. 630 managed to visit all 80 Gromits. The models will all go on show at the end of the month before being sold at auction for the charity next month. Bristol Mayor George Ferguson and his famous red trousers have found their way to one of the city's Gromit Unleashed sculptures. 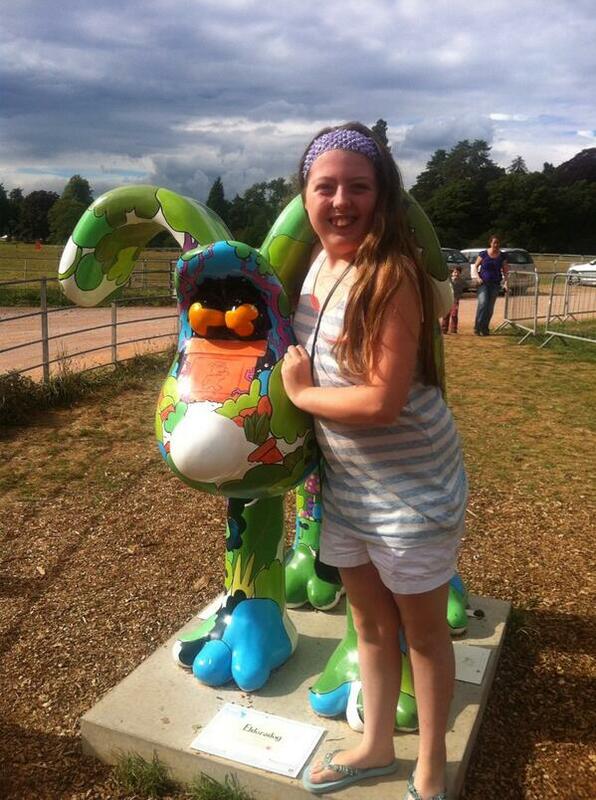 This photo was sent in by a viewer eagerly spotting their last few Gromits on the final day of the art trail. George appears on the Collarful Gromit in Castle Park. 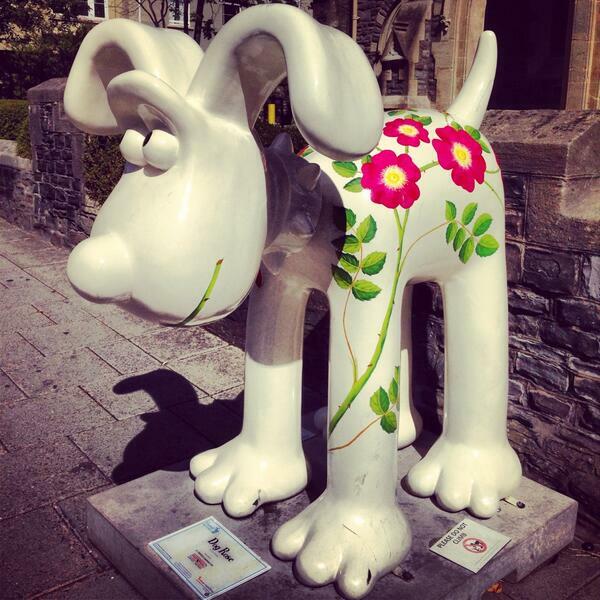 @gromitunleashed only 3 more to get today!!! It's the last weekend to spot those familiar giant Gromit statues across Bristol. The five feet high sculptures will be moved to a secret location on Sunday before sold at auction on 3rd October to raise money for Bristol Children's Hospital. The Gromits will be moved in shops from 4pm and on location from 7pm. If you haven't managed to tick off the Gromit sculpture that has resided at Paddington Station in London, fear not, for he is at the Gromit Unleashed HQ in Bristol at the end of the week.